Ciöcc was the nickname of founder Giovanni Pelizzoli. Meaning “poker face” in the local Bergamo dialect, the in-joke is carried on in the company’s four aces logo. We were genuinely staggered at what it cost; certainly more than my dad’s car which didn’t do anything to improve his enthusiasm for my new-found sport. That was over thirty years ago and the funny-looking Ciöcc name is still appearing on frames from the golden bike building region of Lombardy in Italy. Like a lot of the best Italian wine, however, it hasn’t had the distribution in the UK it deserves. Racescene, the bike shop in Barnsley that’s been quietly importing and stocking Ciöcc frames since it opened 12 years ago, is now hopefully setting that right. 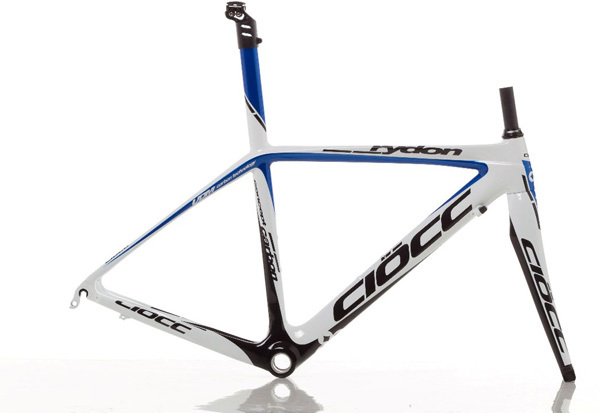 This week, Racescene’s Richard Maxwell has signed off on a new plan with Ciöcc that should see a “selective” network of dealers stocking the frames across the UK. That includes Italian-made road models in carbon, titanium and steel. There’s even a tandem. There’s even a carbon tandem. It’s hard to know which way to look, what with lovely classic steel, elegant titanium and up-to-the-minute high modulus carbon to choose from but the Rydon carbon frame for £1,795 is the model that will tick the boxes for most UK club racers. “First 2011 shipment arrives end of next week,” according to Maxwell. At a smudge under 900g with its integral seatpost, it won’t be a very heavy shipment. The Massachusetts, USA-based custom bike builder Seven Cycles, which was founded in the late ’90s by innovative frame builder Rob Vandermark, has appointed newly-retired pro mountain bike racer Jenny Copnall of consultancy Cyclevox to organise a dealer network in the UK. It’s early days yet but Sigma Sport in Surrey, which has carried the brand for 12 years and been instrumental in the establishment of the new regime, will continue in its role as a key dealer. Meanwhile, we’ll leave you with this custom made carbon beauty called Diamas SL. A cool £5,500 with the SRAM Red components. It’s certainly the time of year when everyone is looking at layering something extra over their usual long-sleeve jersey or armwarmers. The question is how much you can afford to protect against the wind and rain before you start to broil from the inside like a Boxing Day ham. Breathability is key if you’re riding at a fair clip and British maker Shutt VR feel they understand UK conditions well enough to offer a weight of microfibre fabric that gets the balance right. Especially in their native Yorkshire but they do already offer a £149 Winter Jacket with a heavier build if you feel you need it. The new jacket has a high neck with a zip that has both an anti-fumbling-sized pull tab and a neat little pocket that tucks it out of the way of your fashionable Movember beard. 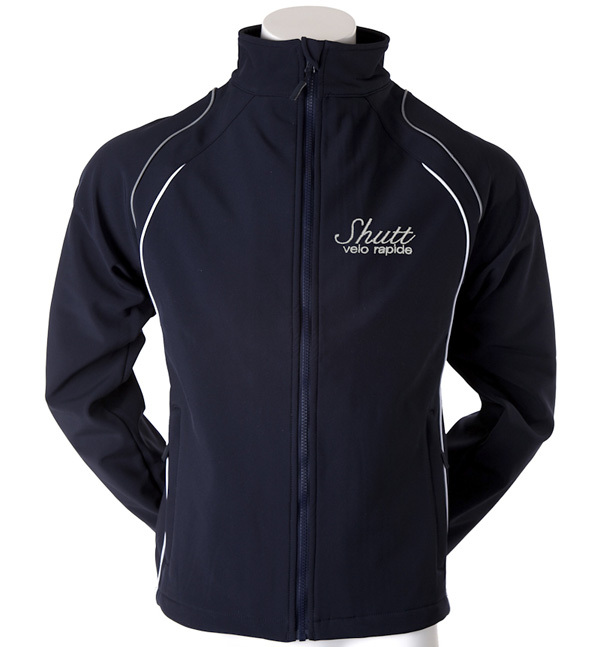 The reflective piping and tail tab is claimed by Shutt to be designed to cooperate with wearing a backpack, which might be interesting for day-riding mountain bikers, and commuters too if they feel happy with the discreet navy blue colour. The jacket is definitely going to look more at home in the cafe and lunchtime pub stop than the average fluo or trade team top. Especially interesting is a rear hem that is “long enough” according to Shutt but without the distinctive cyclists’ duck’s tail that is such a fashion faux pas in normal society. Admittedly, they’ve only been making their clothing in the Bradford area for just over a year but, according to their Peter Bragg, sales are up “1,000%” which may explain why in 2011 they’ll be sponsoring an extra racing team. The Squadra Donne/Bikefood/Shutt women’s team carries on from this year and now there’s to be the addition of team Twenty3c-Orbea. Japanese bike brand Fuji is going all-out to grab some British road bike volume. Their three UK-special Team bikes, coming in January and available through Evans Cycles, will all sell for under £1,000. The forthcoming models all utilise the same racing-geometry aluminium frame that was successful and well-reviewed on their 2010 £999 Roubaix, but now with three models to choose from starting at that point and going downwards. The new Roubaix bike gets some useful tweaks in the form of a conical fork steerer and push-fit bottom bracket, plus, of course, a price hike for the new season, while its 2010 guise continues as the basis for the new 2011 Team models. 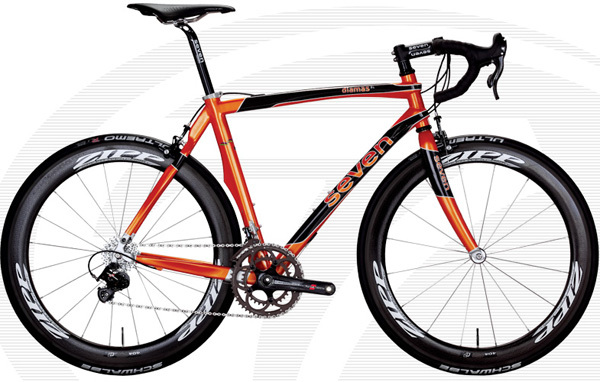 The size Medium frame has a 540mm top tube, with a standover height of 777mm and a racer’s head tube length of 130mm. Most impressive is that there are seven sizes ranging from XXS with a 510mm top tube to XL with 590mm. There should be something for everyone, which is certainly not the case with every brand selling budget models. Team 1.0 £999.99 – Shimano 105 10sp with FSA Gossamer Pro chainset and Tektro R540 brakes. Team 2.0 £829.99 – Shimano Tiagra 9sp with FSA compact chainset and Tektro R350 brakes. Team 3.0 £649.99 – Shimano Sora 9sp with a generic compact chainset and brake calipers. 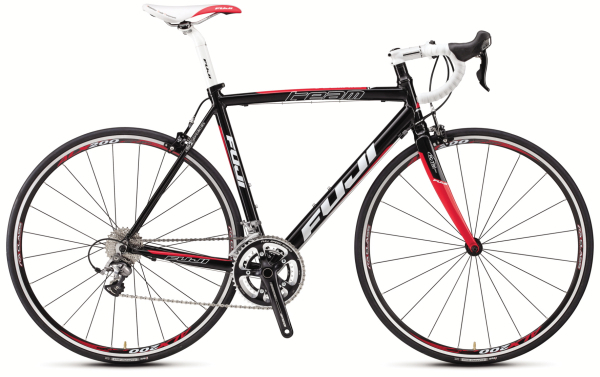 Fuji 2011 Team 1.0 £999.99 Looks good enough to race. Well, you have to hand it to them. The guys at Fuel For Adventure do seem to make on-the-bike nutrition products that taste nice. We liked the Cherry Bomb back at the London Cycle Show when they launched their £1.49 KICKS caffeine-enhanced gels and this new one is refreshing on the mouth, as you’d hope from lemon flavour, and not too sweet. While we appreciate that the tear-off tab works well even with one gloved hand and your teeth, it’s the ingredients we should be worrying about and winning Best New Sports Nutrition product at the Natural and Organic Awards is certainly reassuring. Here’s the press release, “Naturally sourced organic agave nectar provides a sustainable form of energy which helps maintain a balanced blood sugar level, while the addition of guarana, a naturally sourced caffeine, generates a potent instant hit ideal for short, sharp bursts of energy. Juice from organic Sicilian lemons and ginger give the smooth-textured gel its delicious taste.” Sold.